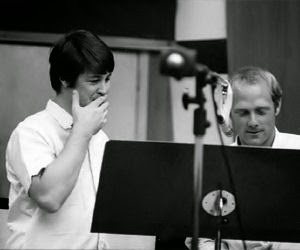 Apart from personal preference or taste, the album PET SOUNDS of THE BEACH BOYS is a major musical monument from the Sixties and Seventies and could be heard out of many open convertibles at that time. 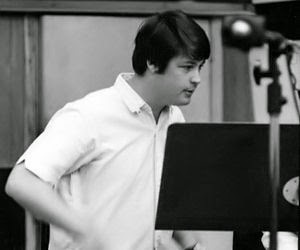 To discover for yourself the virtuosity of the passionate, creative Brian Wilson ( at that time 24 years old! ), I made audible here a number of unique, original studio tracks from 1967. 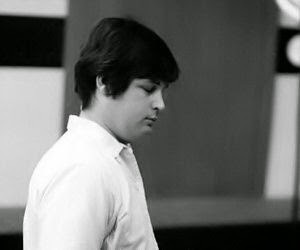 Each of the black-and-white pictures below of the young Brian Wilson is separately clickable and performs once again the unique studio tape recordings from that era. And turn your speakers to the max! If not possible at this moment, wait till you are home alone and repeat this once again. Make a bet that you will be impressed ? Then we wouldn’t have to wait so long. Hold each other close the whole night through. it might come truend of world where we belong. Oh, we could be married. Oh, wouldn’t it be nice.